Planning an estate takes care and precision. There are many different ways that a plan which is not drafted appropriately may not achieve the client’s goals. The estates may be large or small. Most people understand that clients with large, complicated estates with tax issues require careful consideration and drafting of the plan. But, we’ll look at several examples of clients of more middle class means who had goals in mind whose goals were not achieved by their plan. In the first situation, Bob had assets of approximately $900,000 and he had three children, Bob, Jr., Cindy, and Derek. One of his children, Bob, Jr., was estranged from Bob due to a fight they had decades earlier. Bob wanted to leave all his assets to Cindy and Derek, with whom he was very close. Bob decided to draft his own plan and made sure it was “legal” and executed with the correct formalities. He left 50% of his estate to Cindy and 50% to Derek. When Bob, Jr. learned of Bob’s death, he was surprised that he was not to receive any part of his father’s estate and contested the plan. In Bob’s state, the omission of a disposition for, or any mention of, Bob, Jr. caused him to be a “pretermitted” or forgotten heir. As a result, in his state, Bob, Jr., had a right to the share he would have received had Bob died with no plan at all. Thus, Bob, Jr. received $300,000, the same as Cindy and Derek who had been close to Bob. Thus, Bob did not achieve his goal of disinheriting Bob, Jr. In the second situation, John and Betty were married in a jurisdiction without community property. Betty had children from a prior relationship and wanted to leave all her assets to them. While Betty earned most of the money and owned most of the assets, John had sufficient assets of his own and didn’t object to this idea when Betty mentioned it. Betty had a plan drafted that left all her assets to her two children and nothing to John. Unlike in Bob’s case, she specifically disinherited John. At her death, John decided he wanted some of her estate after all. He contested her plan and received 1/3 of her estate due to the spousal right of election in the state. Just like in Bob’s case, Betty’s plan did not achieve her goal. In the third situation, Walter and Ivy were married and had recently celebrated their 50th wedding anniversary. The two cared deeply for each other. Walter had most of the money they had accumulated during life. Ivy’s health was failing. Ivy’s family had a history of Alzheimer’s and it seemed she was headed down that terrible path. Walter wanted to make sure Ivy had funds to care for her needs. Walter’s plan left everything to Ivy at his death. Unfortunately, since Ivy was in a nursing home, those assets were used to pay for nursing home care before she was allowed back on Medicaid. Walter’s plan did not achieve his goals, either. In the fourth situation, Jerry and Liz met in college. They graduated together and got good jobs at the same employer. The jobs had good retirement plans. They married and all was great for many years. Then, they grew apart and the bitter arguments grew more frequent and the loving moments grew less frequent. After trying for many months, they got divorced. Jerry knew to revise his Will and Trust, which had left everything to Liz, until they got divorced. Now, he revised the Will and Trust to leave everything to his sister, Sally. Jerry had about $500,000, including a condo and assets in his retirement plan. He was thinking all his assets would go to Sally. Jerry was walking to work one day and died when a car swerved onto the sidewalk. Unfortunately, not all his assets went to Sally. The majority of his assets were in his retirement plan. Jerry had forgotten to change the beneficiary on his retirement plan. Unfortunately, his Will and Trust do not control his retirement plan. Nor does his divorce cancel the beneficiary designation. Liz ended up getting more of Jerry’s assets than Sally did. Thus, contrary to his goals, Jerry’s sister did not get everything and his ex-wife got the lion’s share of his assets. In each of these four situations, the client could have planned in a manner which would have achieved their goals, had they only gone to an experienced estate planning attorney who focused in estate planning. In the first case, Bob could have specifically disinherited Bob, Jr. In the second case, in many states, Betty could have had John sign a post-nuptial agreement or reduced the size of the portion of her estate against which John’s spousal right of election applied. In the third case, Walter could have left his assets to Ivy in a Testamentary Special Needs Trust for her benefit. If done properly, the assets which Walter left Ivy in the Special Needs Trust created at his death would not have been considered available resources for Medicaid purposes. Thus, they would not have needed to have been used to pay the nursing home. The assets could have been available for Ivy’s special needs, including weekly massages, movie outings, and other things to improve her quality of life. Finally, Jerry could have designated Sally (or a Trust for her benefit) as the beneficiary of his retirement plan. An attorney experienced in estate planning could have helped to achieve the goals in each of these circumstances. 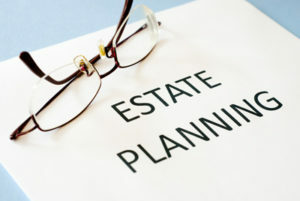 The attorneys in our firm are experienced in all aspects of estate planning. 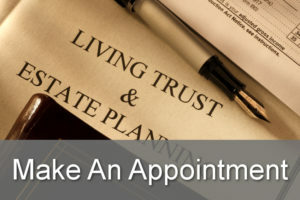 As a member of the American Academy of Estate Planning Attorneys, our firm is kept up-to-date with information regarding all types of estate planning strategies and tools. You can receive more information about a complimentary review of your clients’ estate plans by calling our office.